It’s been a while since I’ve blogged and I have so much to share, but I’ve also been enjoying a little time off at home with friends & family. 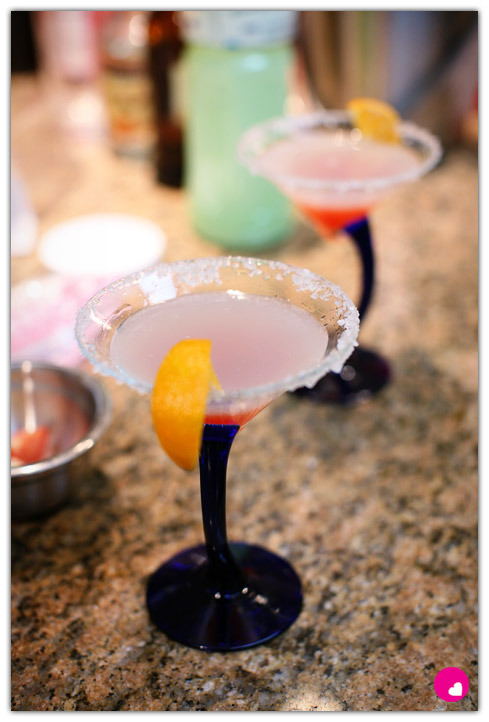 Now that Jer and I are married and have our own place, it’s been fun hosting parties and having people over. At first I wasn’t really into the idea of putting up lights, getting a tree, or decorating the house for Christmas. But for some reason I had a sudden change of heart, and next thing I knew I was frantically running from store to store buying holiday decor at 50% off (sometimes procrastinating has its benefits). 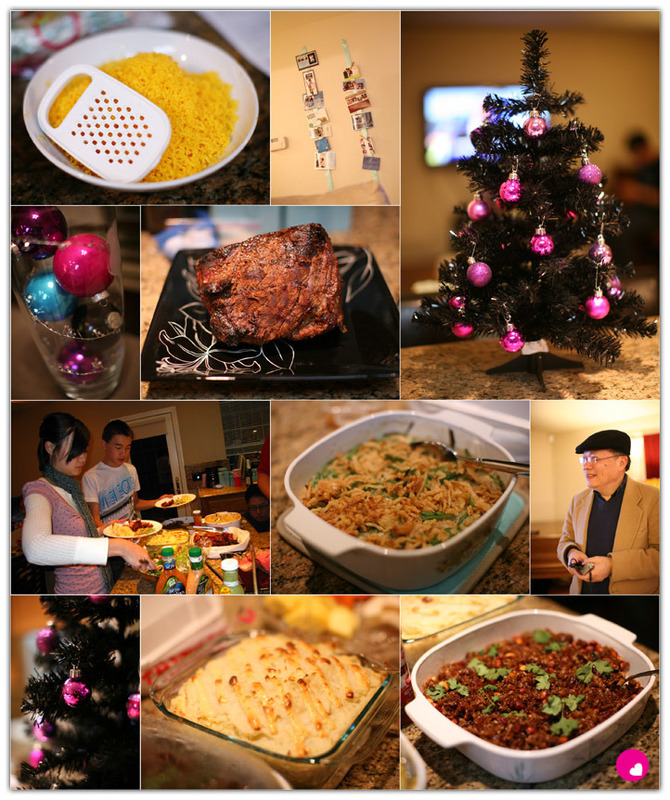 Here are some pictures from our holiday festivities. Christmas day we hosted a dinner for both our families. Halfway through prepping dinner I suddenly thought, “What did I get myself into? I’m in over my head!” You see, I don’t really know how to cook. I survived college making soup & noodles. 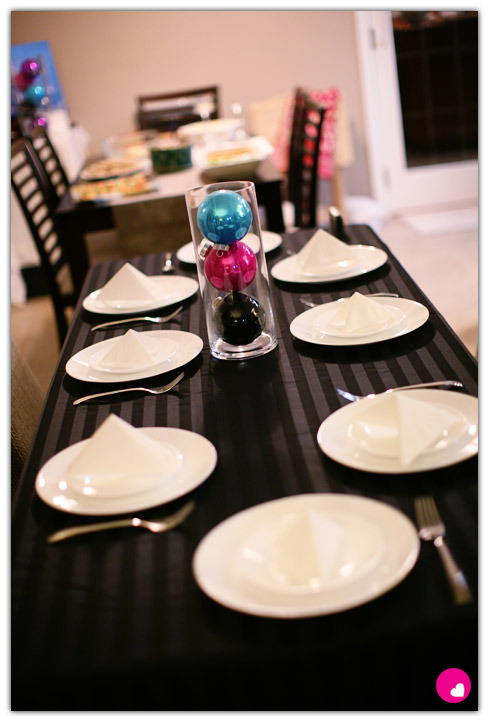 That’s about the only thing I know how to make, and now suddenly I’m throwing a dinner party? What was I thinking?! Thankfully my deviled eggs, mac & cheese, and green bean casserole didn’t turn out too bad…for my first attempts ever. I do, however, need to get a new cheese grater because grating cheese with a $1 grater is no walk in the park. 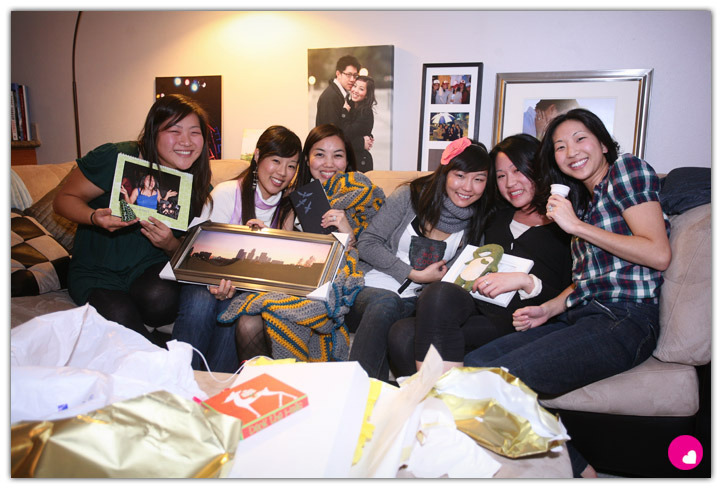 The following night I was excited to have my former college roommates come over for our annual gift exchange. 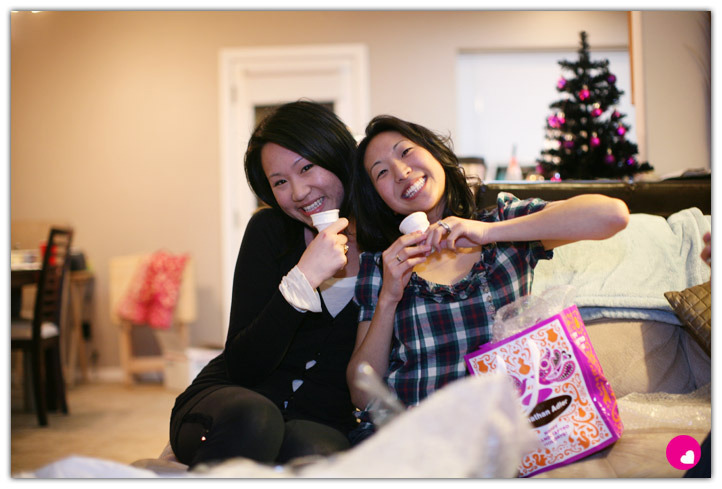 Six years ago, the six of us moved into an apartment together at UCI and our little Christmas tradition began. 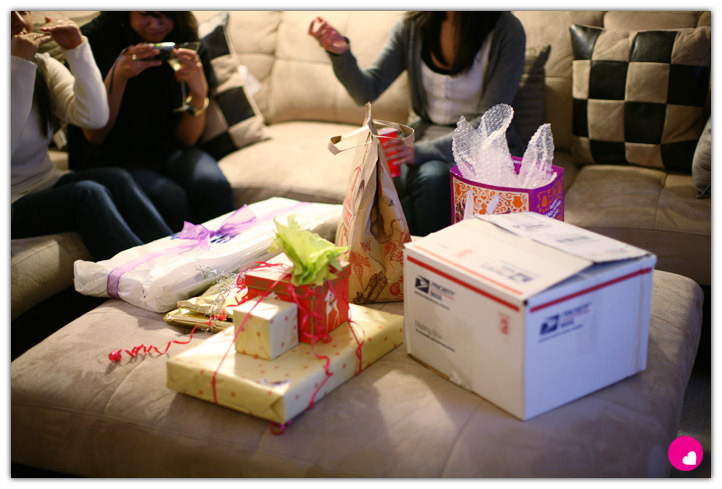 Since then, we’ve all moved and are scattered across the east & west coasts, but we still try to exchange gifts each Christmas (whether we can make it back to LA or not). 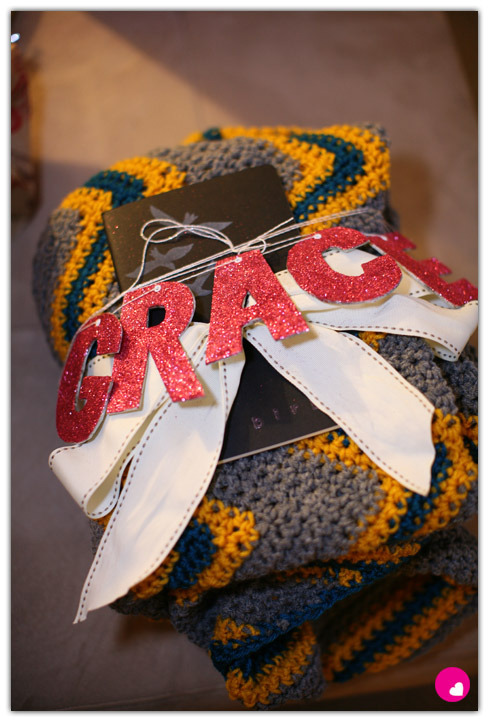 This year we decided to make our gifts, and wow, I am amazed at everyone’s craftiness! 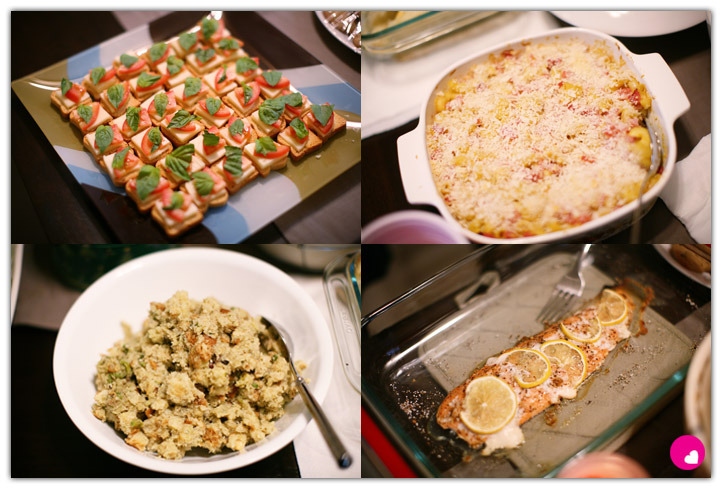 But first, a few pictures of the food I made with my newfound cooking abilities….caprese, macaroni casserole, stuffing, & salmon. Jer whipped up some cocktails for us. My gift to Kate – two original prints of LA & OC…to remind her of home since she lives in San Jose right now. 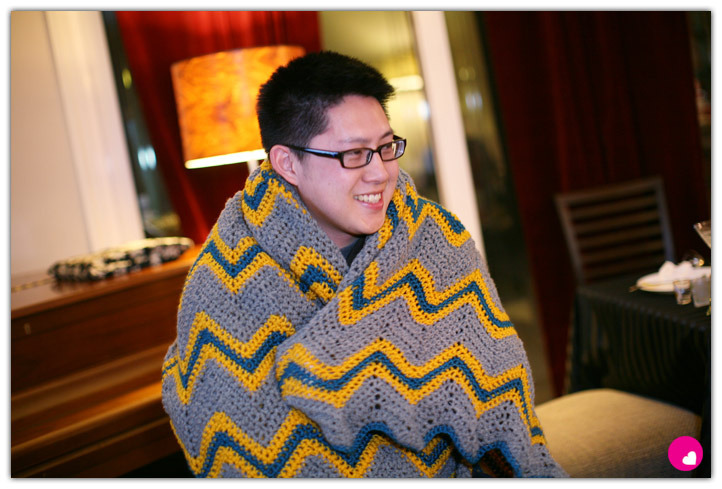 Janet crocheted this amazing blanket for me! Jeremy seems to really like the blanket. Mmm…can I get that back now? 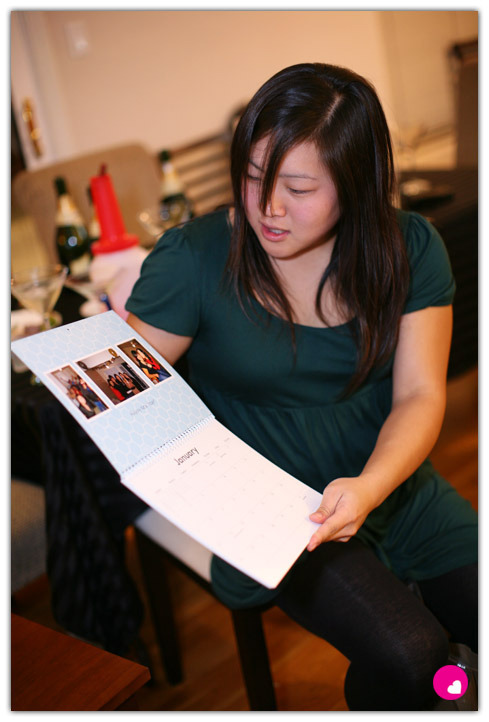 Kate made Janet a personalized 2009 calendar. Each month had pictures taken in that corresponding month in 2008. Virginia made Viv some porcelain ice cream cones. Virginia is an awesome designer in Brooklyn, and her porcelain paper plates have been featured on Design Sponge and Apartment Therapy. 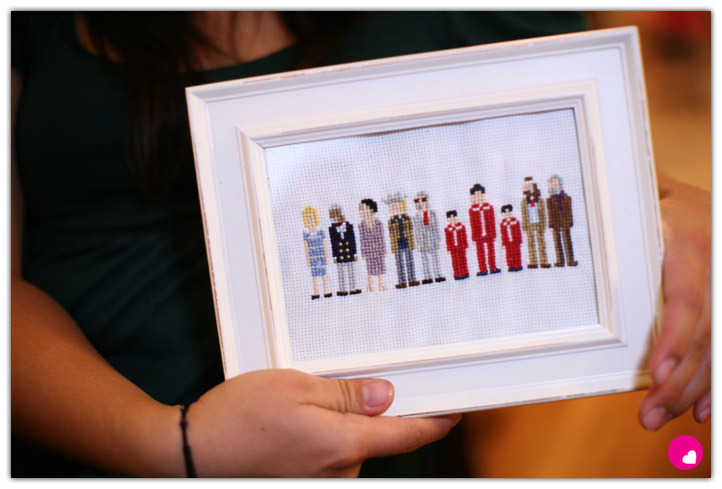 Juli cross-stitched The Royal Tenenbaums for Virginia…. 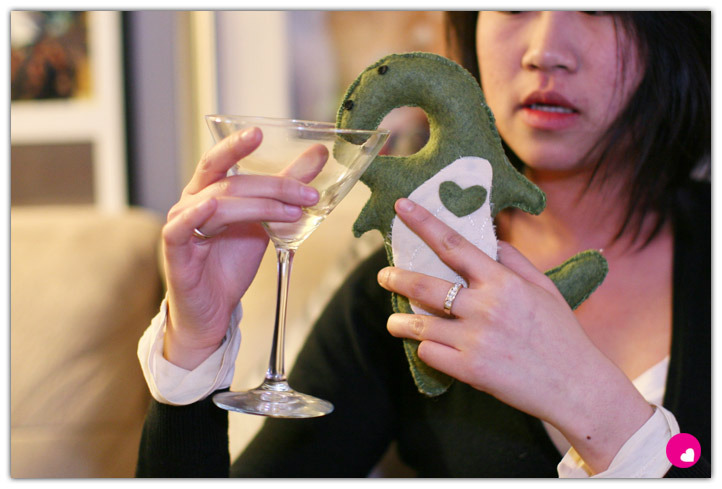 ….and also hand-stitched this cute little dino. I love Juli’s reaction to the terrarium she got from Viv. All the roomies with our gifts. 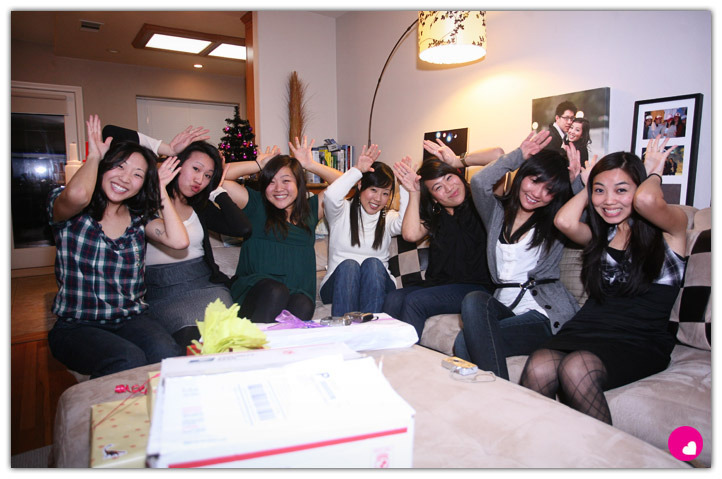 Now all the roomies (plus honorary roomie Joyce) doing what I think are supposed to be reindeer antlers. 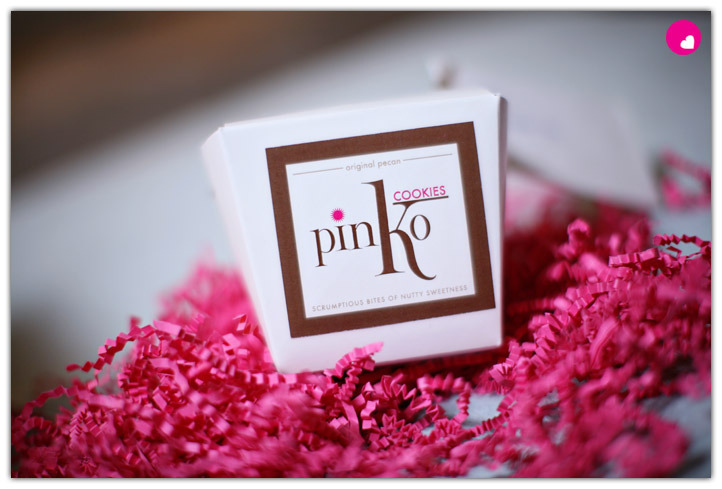 Finally, a great big THANK YOU to Adrienne Gunde for sending me these yummy cookies from Pinko Cookies! And thanks for all your help this year! what a wonderful time! great lookin' place to! 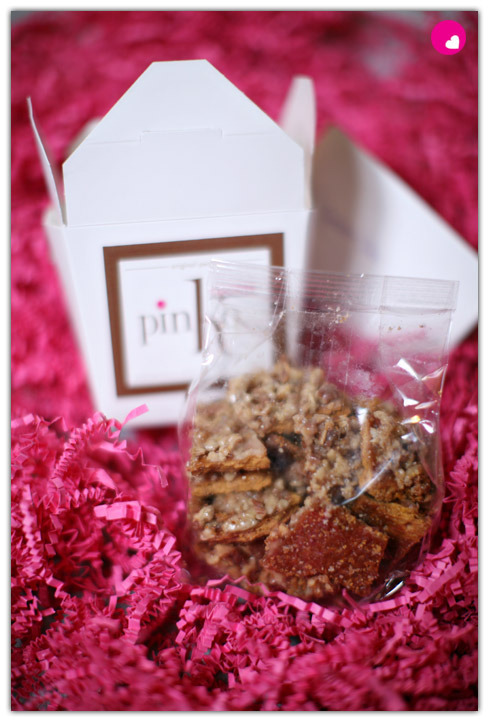 the food was uhh-mazing! thanks for doing hosting duties! handmade christmas = smashing success!